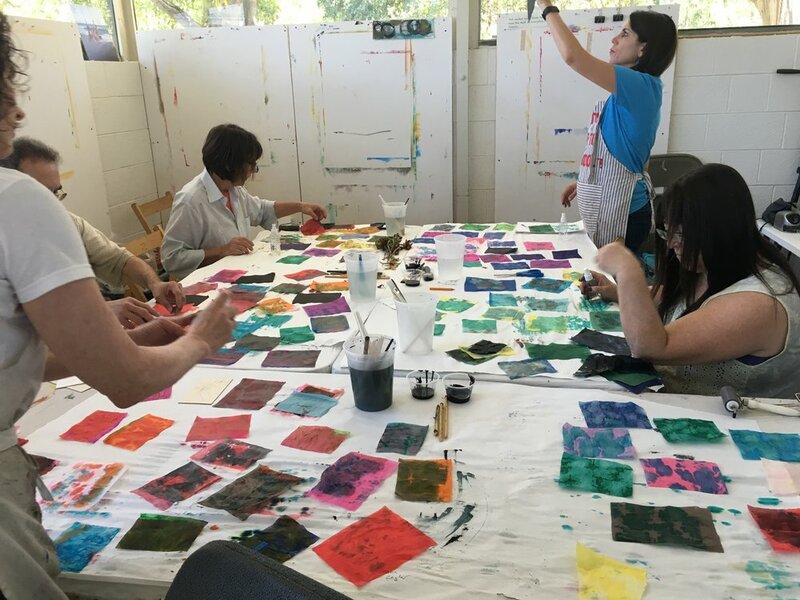 This past Saturday, in a sold out mixed media workshop, I had the good fortune to have 10 brave artists in my tree lined Los Angeles studio. I always start us off with a meditation. That seems to bring us out of our heads and into our senses in a more open way. We did some loose drawing of our surroundings, observing nature's lines, shapes and textures. Then we created some gorgeous papers to use in a collage overlay and used paint over that. Watch the short movie and you will be blown away as I was! I welcome your comments. And if you are interested I have many more workshops and a retreat coming up in the next few months. Check out my schedule at www.theart-process.com.